Our Uber Brolly Classic Wooden Printed Parasols comprise of a durable and classic Iroko wooden shaft and ribs. You can opt for a contemporary square parasol with 4 printable panels or a traditional round canopy with 8 panels. With or without a valance and they also come with a wind cap. Iroko wood is strong, high quality wood which is varnished and treated for a superior and durable finish. You will find both the shaft and the ribs in this wood making this parasol uber strong and with great longevity. 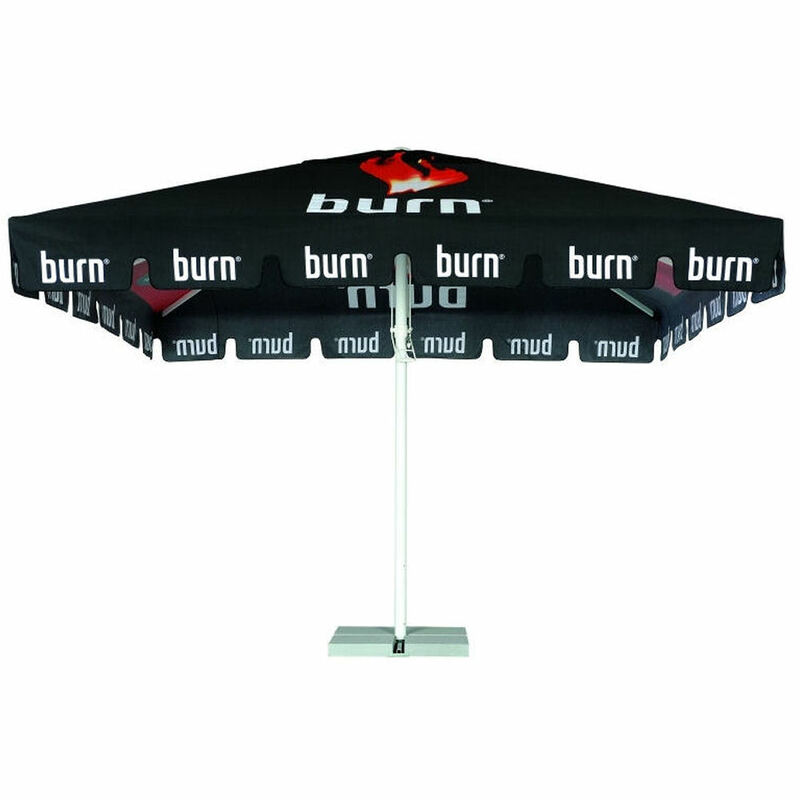 These Classic Wooden Printed Parasols come with a great double pulley opening and closing system for ease of use.